Having the right level of humidity is essential for the comfort of your home as well as your health. When we’re dealing with extreme temperatures, one of two things can happen: the humidity level can drop, or it can rise drastically. That’s why, during the summer, the outside temperature is not as important as the thermal comfort index, which is a scale that measures the effects of humidity, radiation, air movement and some other. On the other hand, if the air is too dry, it can cause severe health problems, especially during the winter, when our immune system is at its lowest. That’s when you are more exposed to viruses and bacteria. Low humidity causes your nasal mucus to dry triggering nose bleeding, allergies, skin irritation or rashes. When the membranes are no longer covered in mucus, we are more exposed to respiratory viruses or the flu. Even more, some viruses may become tougher in a dry environment and the chances of infection or diseases rise. The flu virus, for example, survives and spreads faster when the humidity in your home reaches lower levels. Dry air also causes discomfort during the winter, because it makes us more sensible to temperature differences. In other words, it will seem way colder outside than it actually is. Studies show that dry air can lead to respiratory diseases, such as asthma, bronchitis, sinus infections, nasal bleeding and more. Your body will be dehydrated, because fluids are also eliminated faster the more you sweat. If you feel like your eyes are sore or dry, this could also be a symptom caused by low humidity. You can also develop skin problems, like rashes, eczemas or itches. Have you ever wondered just what happens when you have a stuffy nose? Your nasal tissue and blood vessels are dilated and become swollen because of excess fluids. This ends up stuffing your nose and causing difficulties in breathing. When temperature and humidity are at lower levels, the nose gets colder as it tries to heat up the air we inhale. Coldness is picked up by the nerve endings in your nose, which stimulates the production of mucus. Cooling, or cool mist humidifiers release moisture into the air of your home by passing the mist over cooling coils or with a fan. 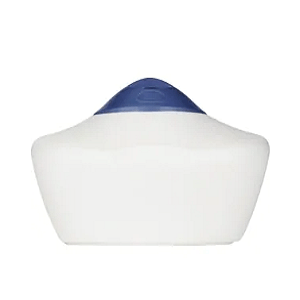 Often, people report these as being the one to help with a stuffy nose as the cool moisture opens up the nasal passages. 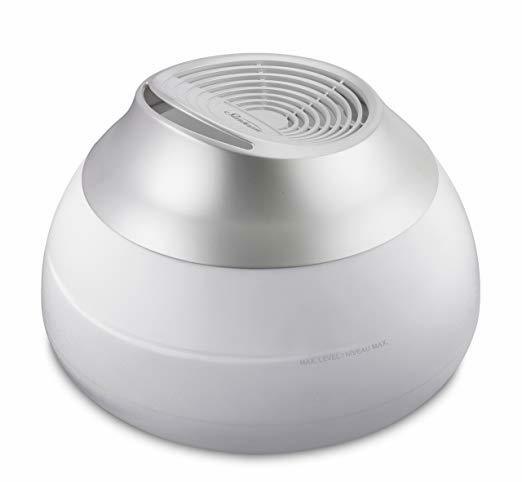 Ultrasonic humidifiers come with warm and cold mist options, which are released into the air via ultrasonic vibrations. Impeller humidifiers use rotating disks to disperse cool mist into the air. Even if they do provide the same risks as evaporators, impeller humidifiers are considered to be more child-friendly. Central humidifiers, or whole home humidifiers are installed in your air conditioning and central heating unit. They are quite expensive, but they beat having to buy a humidifier for every room, as they function throughout the whole house. Steam vaporizers, or warm mist types, will heat and cool down water before dispersing it into the air. 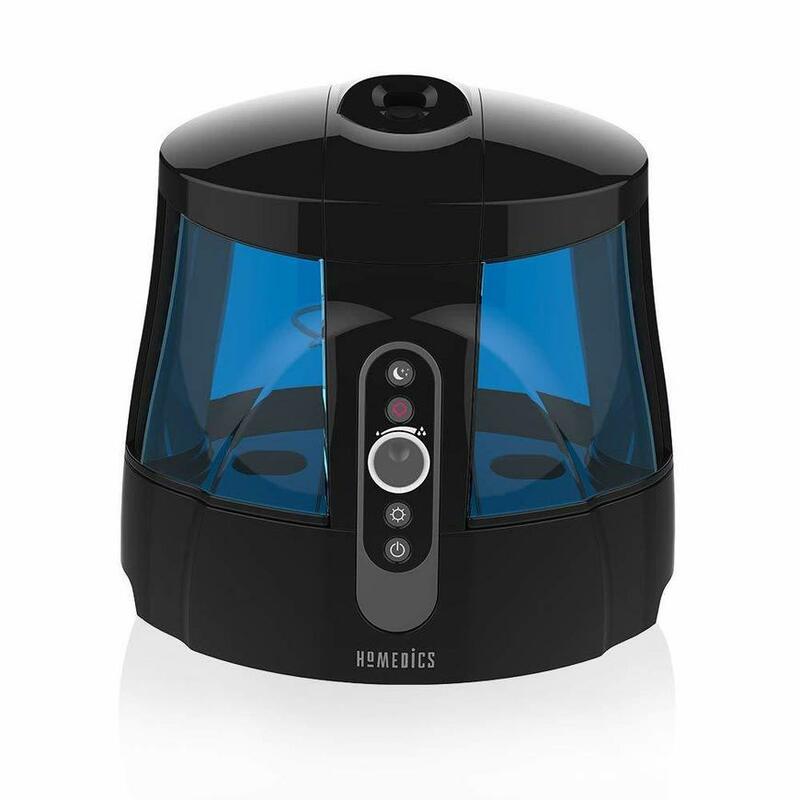 They are the most affordable option in terms of humidifiers and their portability allows for quick movement from one room to another. These can help with a stuffy nose but be careful as warm moisture can cause swelling in the nasal passage. Thus, making the problem worse. 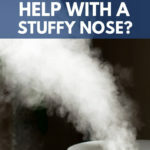 Now that we’ve shown the available options, can we determine if a humidifier really helps with your stuffy nose? 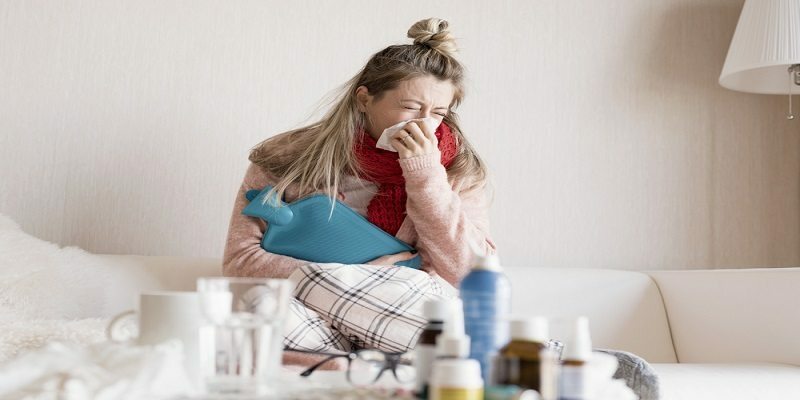 First of all, this device will help ensure that the air inside your home is not too dry, and that automatically lowers the chances of you ending up with colds and flu. As we’ve previously established, dry air will lead to thick mucus, thus increasing the odds of a nasal congestion. 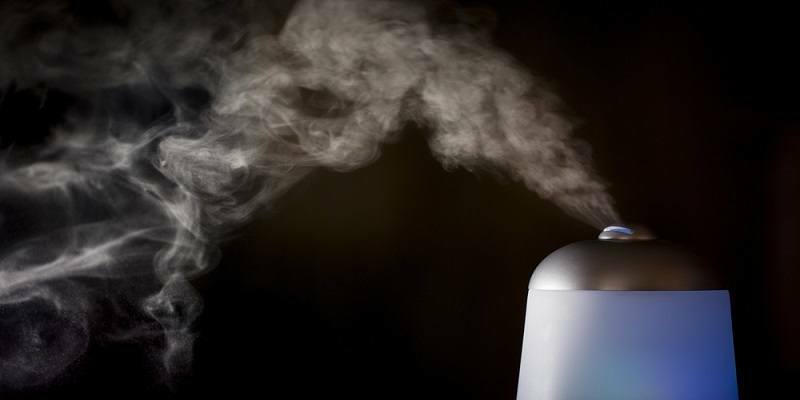 By adding moisture to the air that you breathe, humidifiers will help you avoid having your nose clogged. Second, if you’re already experiencing cold or flu symptoms, a good humidifier can make your recovery process easier and faster. By leaving the humidifier on while you’re sleeping, you will breathe easier and this can alleviate sore throats and headaches. Aside from helping with nasal congestion, the humidifier can help you with other health dangers as well. Since dry air can lead to severe asthma and allergy problems, a humidifier will come in handy if you’re suffering from any of these. 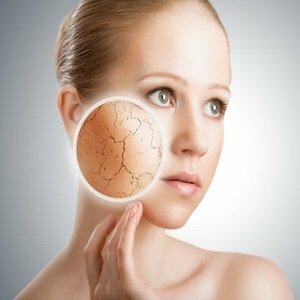 It will also help prevent or alleviate some skin problems, such as dry skin, irritations, cracks or wrinkles. 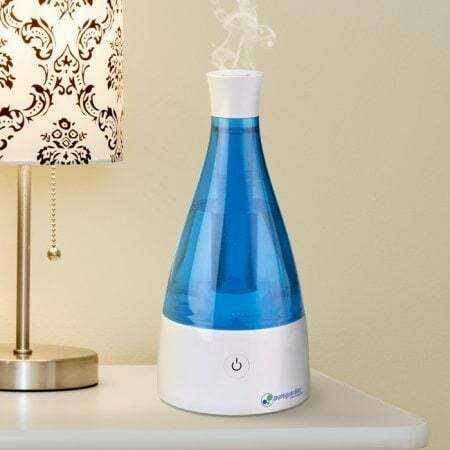 All of these health advantages provided by humidifier are nothing to sneeze at, but did you know that such a device can help with other things around the house, as well? For example, it can ensure a healthier and longer life for your indoor plants, as the air humidity also determines the level of humidity in the soil. In the winter, dry air will cause the temperature inside your home to be lower. Adjusting the humidity by raising it to optimal levels may actually save you money on your heating bills. Fun fact: Dry air also causes damage to the wood inside your home, by causing it to crack or split. So, by purchasing a humidifier, not only will you live healthy, but you can ensure a longer life for your wooden furniture as well. Long story short, humidifiers bring a number of health benefits when you end up having respiratory problems caused by dry air inside your home. 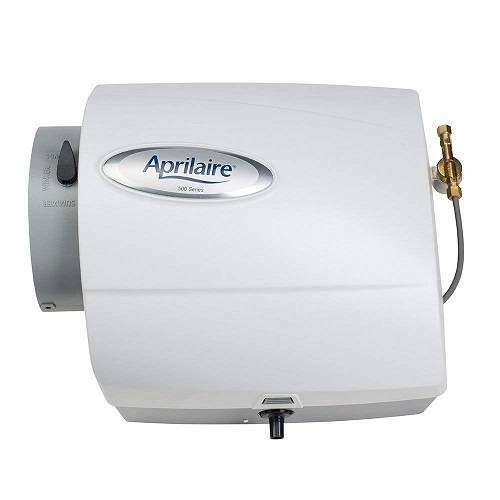 In order to fully benefit from the advantages that a humidifier has to offer, you need to ensure the proper maintenance of the device. This means that you have to use only the type of water indicated by the manufacturer (which is generally demineralized or distilled). You also have to make sure that the water inside the device is changed daily, to avoid the growth of mold. Proper maintenance also includes cleaning the device often (instruction manuals will generally specify how often you need to do that) and making sure you change the consumables when needed (like air filters). Using and caring for the device as the manufacturer indicates will lead to healthy air… and a healthier you!